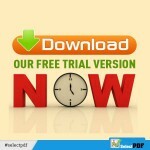 Press releases related to SelectPdf products: Html to Pdf REST API, Pdf Library for .NET, Save as Pdf website buttons. SelectPdf Library for .NET – 2018 Vol 3 has just been released. Together with the full featured PDF library, the community edition of our SelectPdf Free Html To Pdf Converter for .NET v18.3 was also released. SelectPdf has now .NET Core support (full release, after the last month pre-release) available for both SelectPdf Commercial Library and Community Edition. The .NET Core version supports .NET Core 2.0 and above (through .NET Standard 2.0) on Windows systems. This entry was posted in HTML to PDF Converter, PDF LIBRARY for .NET, HTML to PDF Library, Press Release, Releases HTML to PDF, Pdf Library for .NET and tagged download free trial, download selectpdf, html to pdf converter, html to pdf converter for .net core, html to pdf for the cloud, Microsoft Azure, new release on June 7, 2018 by selectpdf. Select.Pdf Library for .NET – 2017 Vol 2 has just been released. Together with the full featured pdf library, the community edition of our SelectPdf Html To Pdf Converter for .NET v17.2 was also released. The release contains a lot of speed improvements and bug fixes. This entry was posted in HTML to PDF Converter, PDF LIBRARY for .NET, HTML to PDF Library, Press Release, Releases HTML to PDF, Pdf Library for .NET and tagged download free trial, download selectpdf, new release on September 25, 2017 by selectpdf. Select.Pdf Library for .NET – 2016 Vol 4 has just been released. Together with the full featured pdf library, the community edition of our SelectPdf Html To Pdf Converter for .NET v2.4 was also released. The release contains a lot of speed improvements and bug fixes (svg rendering improvements, web fonts rendering improvements, right to left texts bug fix). This entry was posted in HTML to PDF Converter, PDF LIBRARY for .NET, HTML to PDF Library, Press Release, Releases HTML to PDF, Pdf Library for .NET and tagged download free trial, download selectpdf, new release on October 17, 2016 by selectpdf. Select.Pdf Library for .NET – 2016 Vol 3 has just been released. Together with the full featured pdf library, the community edition of our SelectPdf Html To Pdf Converter for .NET v2.3 was also released. The release contains bug fixes, speed improvements and new features. This entry was posted in HTML to PDF Converter, PDF LIBRARY for .NET, HTML to PDF Library, Press Release, Releases HTML to PDF, Pdf Library for .NET and tagged download free trial, download selectpdf, html to pdf converter, new release on June 6, 2016 by selectpdf. Select.Pdf Library for .NET – 2016 Vol 2 has just been released. Together with the full featured pdf library, the community edition of our SelectPdf Html To Pdf Converter for .NET v2.2 was also released. The release contains a lot of bug fixes, speed improvements and the following new features. This entry was posted in HTML to PDF Converter, PDF LIBRARY for .NET, HTML to PDF Library, Press Release, Releases HTML to PDF, Pdf Library for .NET and tagged download free trial, download selectpdf, new release, pdf encryption aes, pdf encryption rc4, pdf form filling, pdf portfolio on March 24, 2016 by selectpdf.